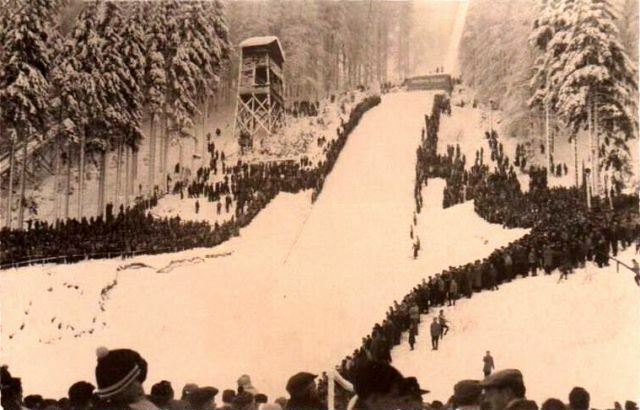 Already on the day of the founding of WSV on February 14, 1905 two Norwegians showed jumps of 12 to 18 m on a provisory ski jumping hill at the fairy place at Seimberg. 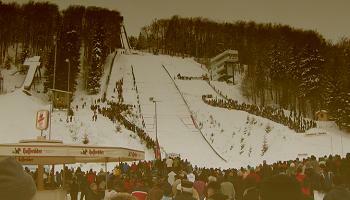 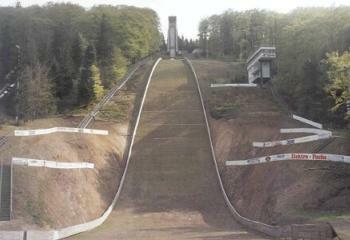 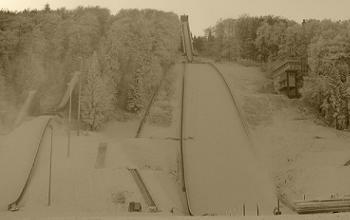 The WSV Brotterode built the first jumping hill in 1920-1923. 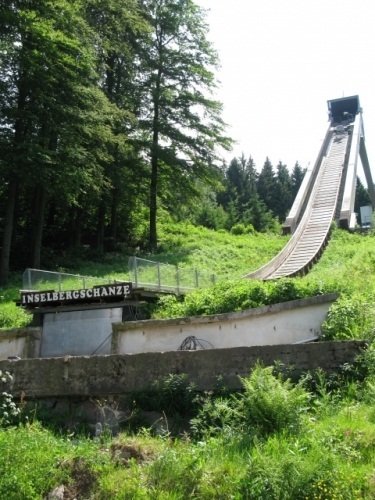 This “Hagenschanze” was named after a local politician in the state council who supported the construction financially. 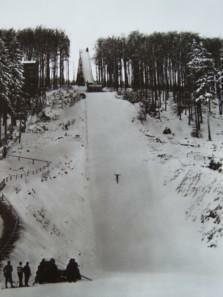 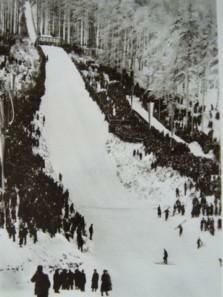 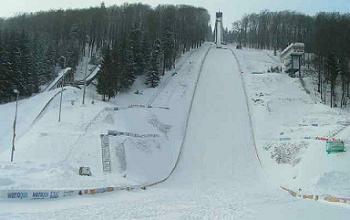 The jumps were about 45 m long and in 1929-30 the facility was enlarged into a 60 meter ski jump. 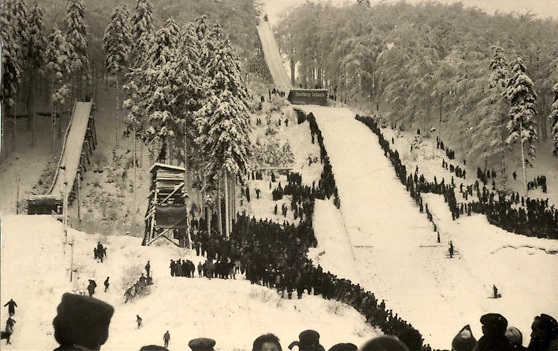 After the political changing in 1945 the jump was renamed into “Aufbau-Schanze”. 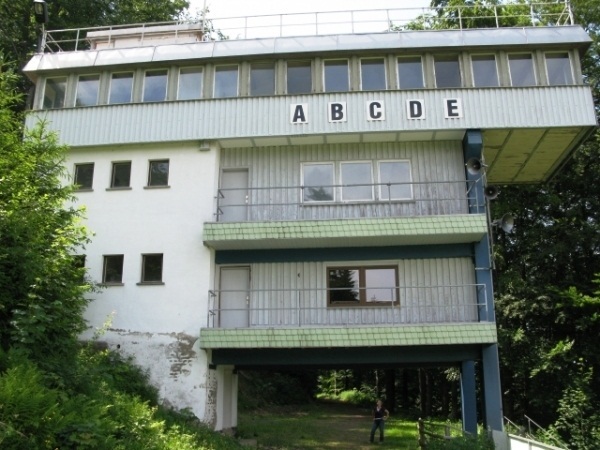 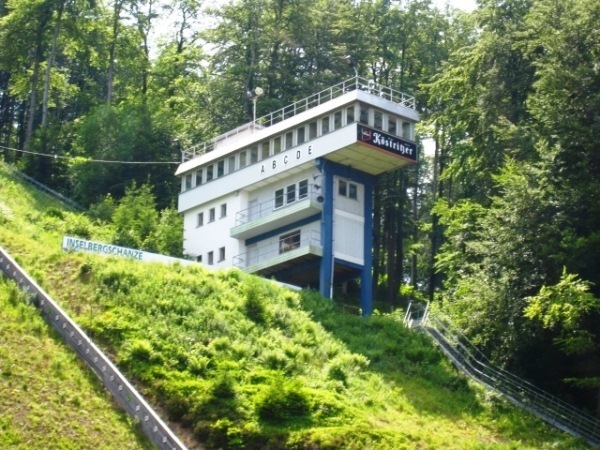 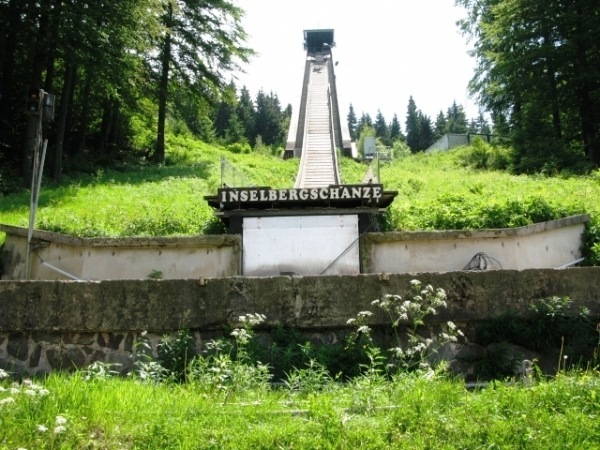 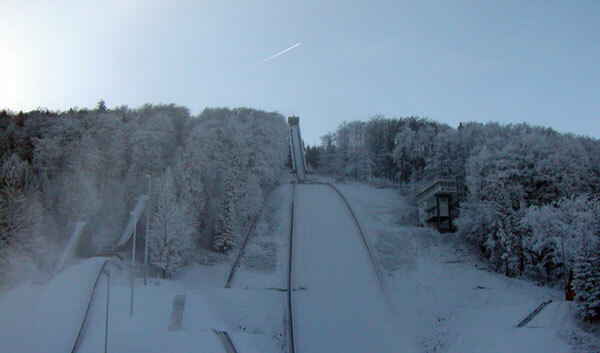 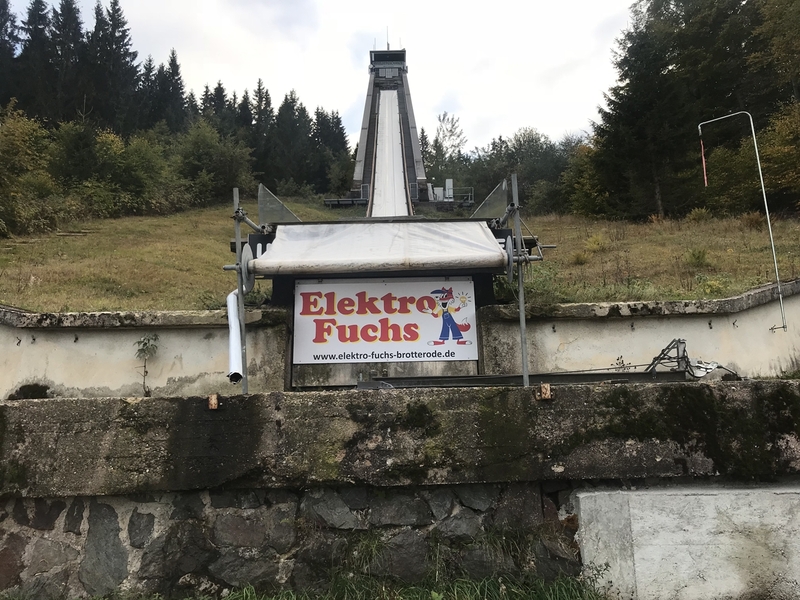 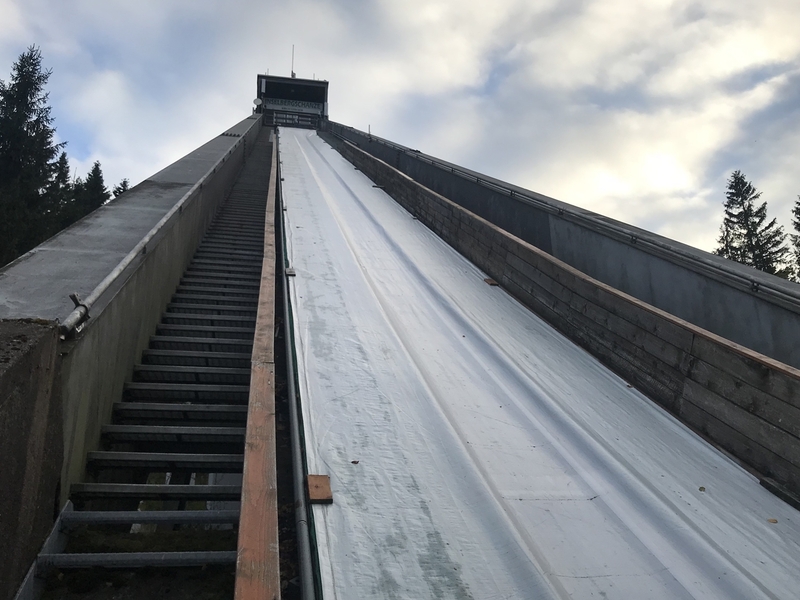 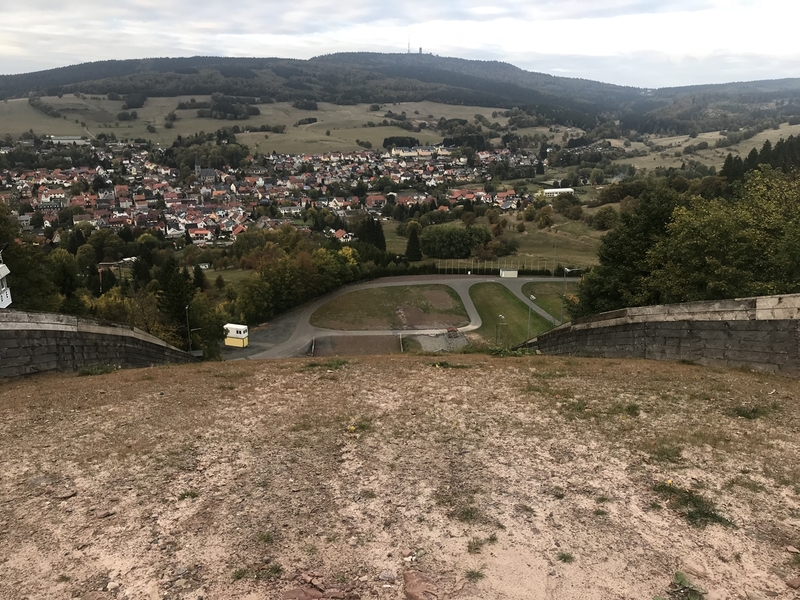 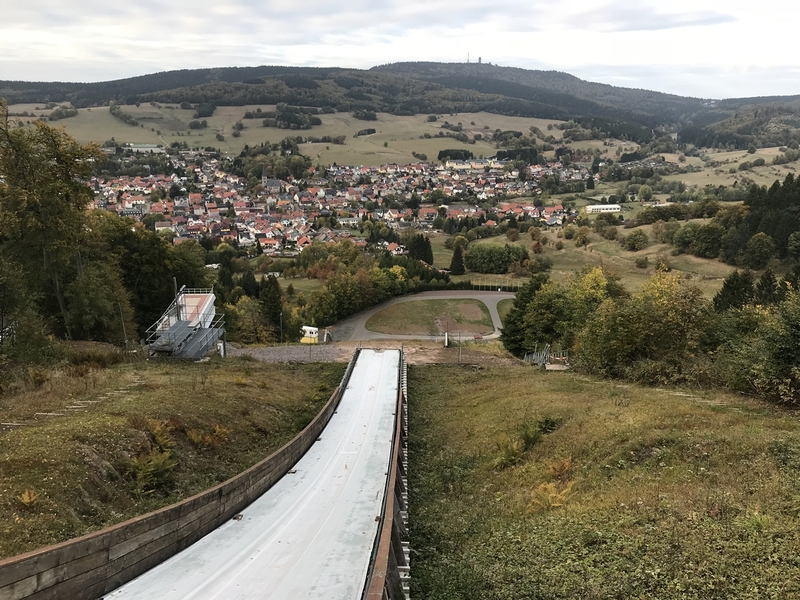 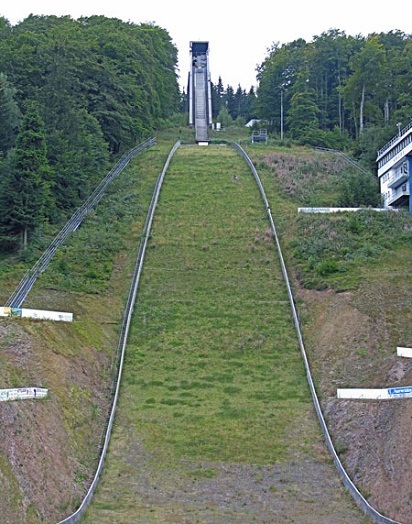 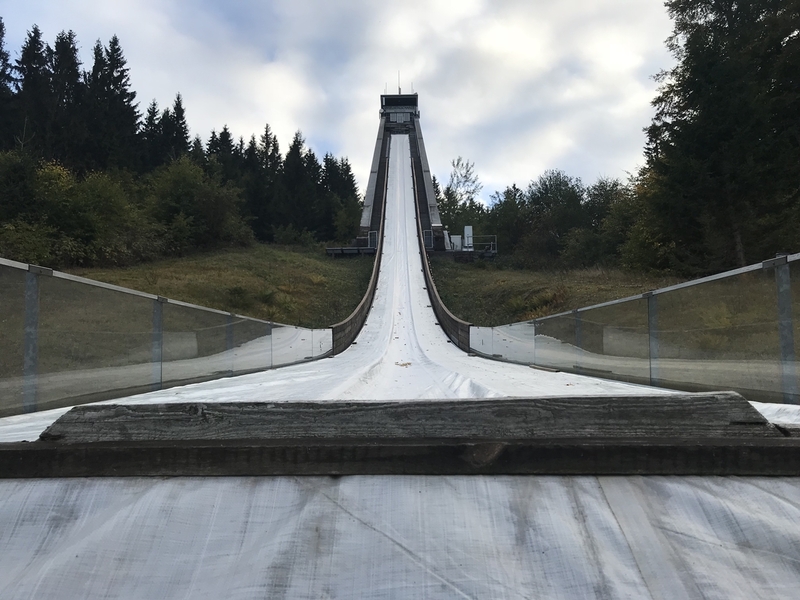 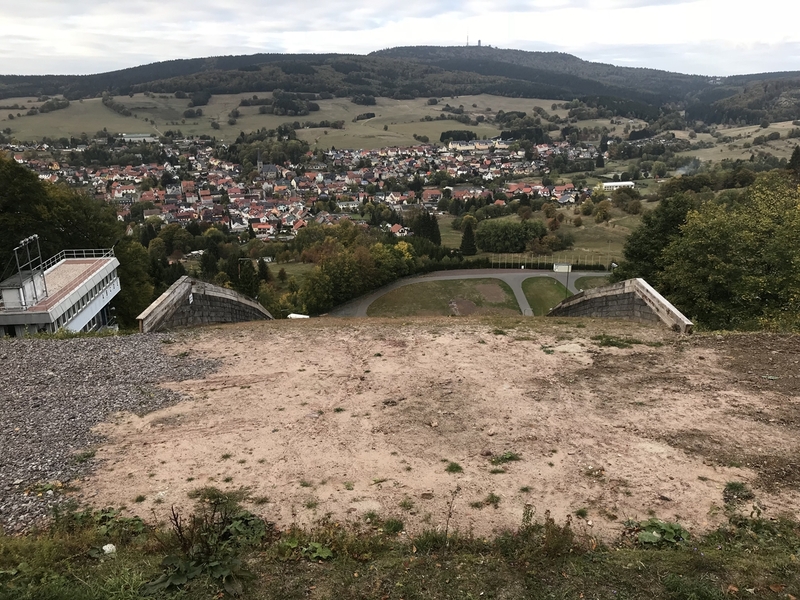 Since Brotterode had developing into a centre of ski jumping in Thuriniga, the jump was reconstructed again in 1954/55 and it was opened in 1956 with another changing of the name into “Inselbergschanze” (KP 80). 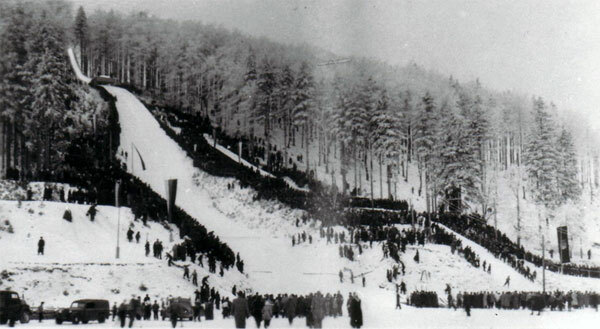 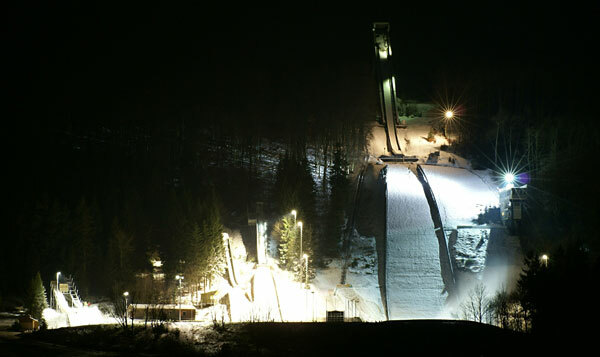 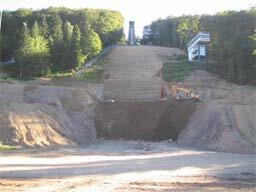 The ski jump hosted many national and international competitions in the following years and new hill records were set up again and again. 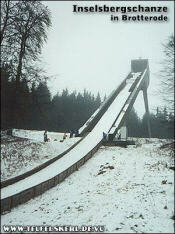 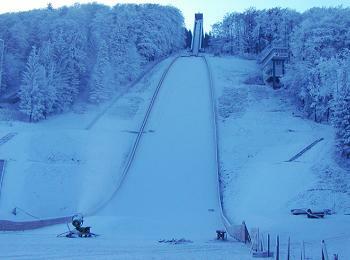 Many very good ski jumpers came out of the ski club ASK Vorwärts Brotterode which was famous during GDR times. 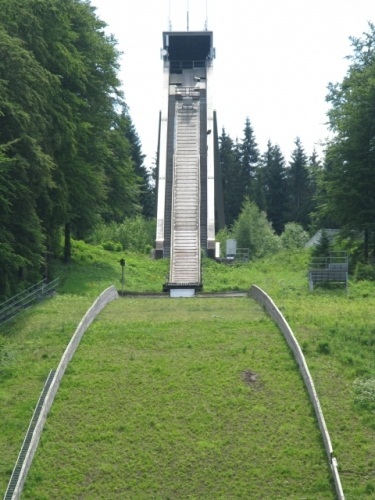 Later the ski jump was converted in 1968 and 1978, too. 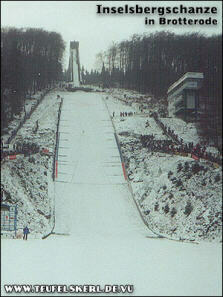 The last profile changing was done in 2003/2004 into a K105, whereby also jumps on over 120 m were made possible. 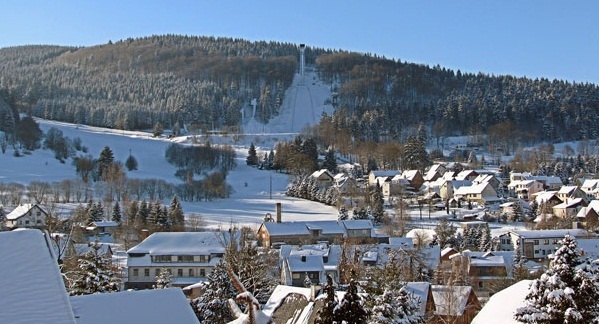 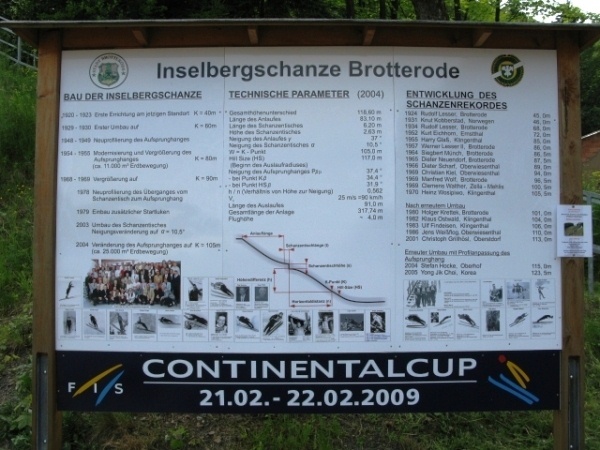 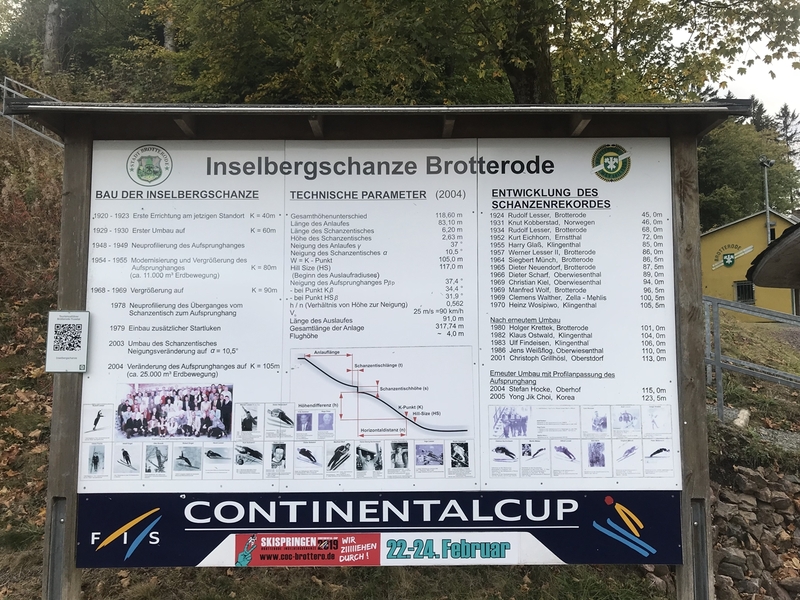 On December 10, 1995 the very first FIS Continental Cup competition was hosted on Inselbergschanze and since Brotterode has been host of Continental Cup every year. 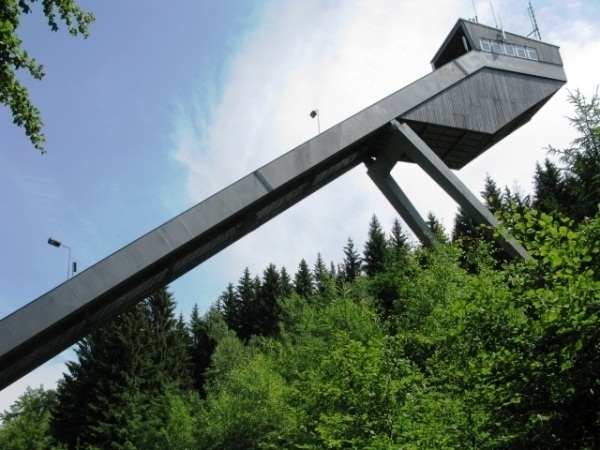 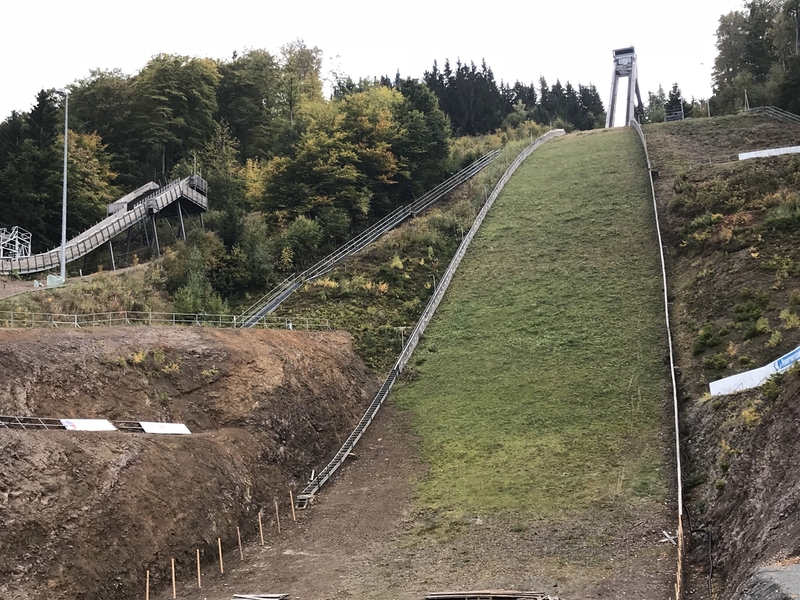 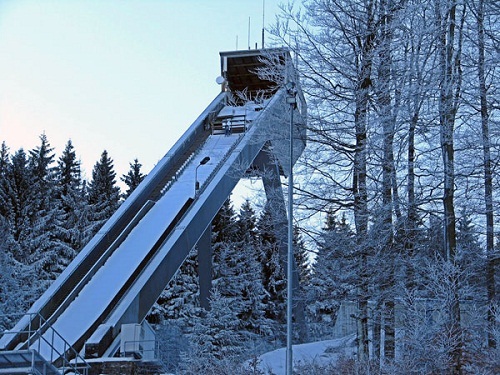 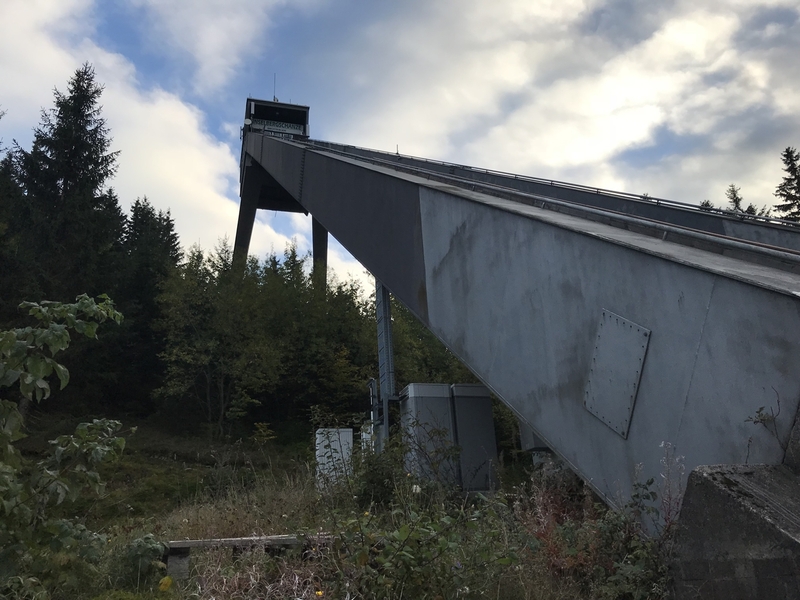 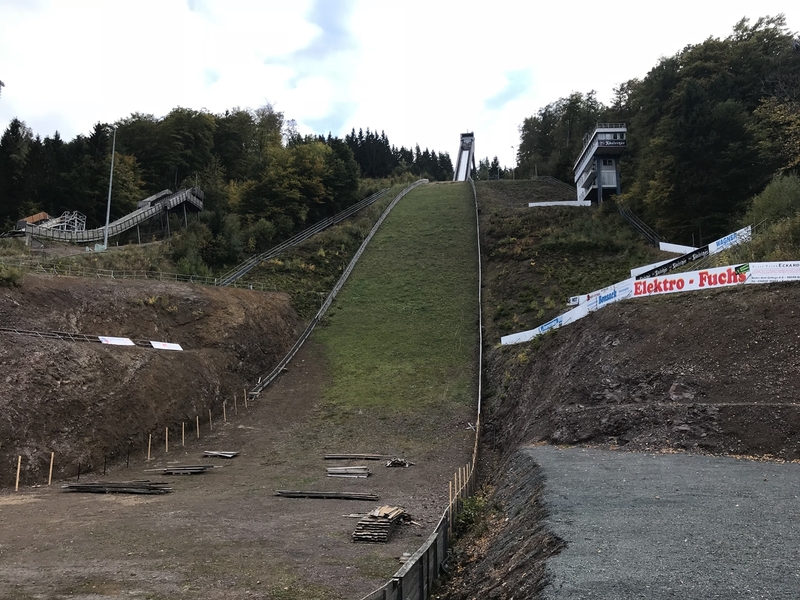 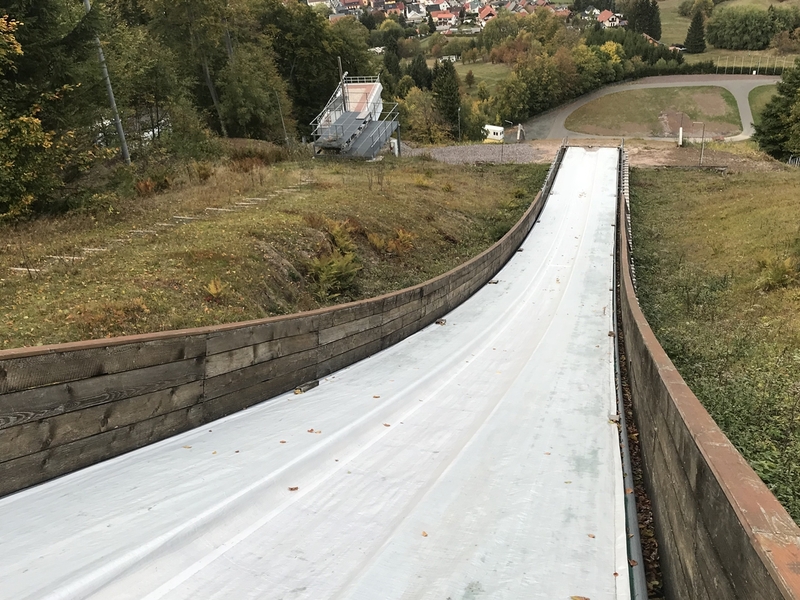 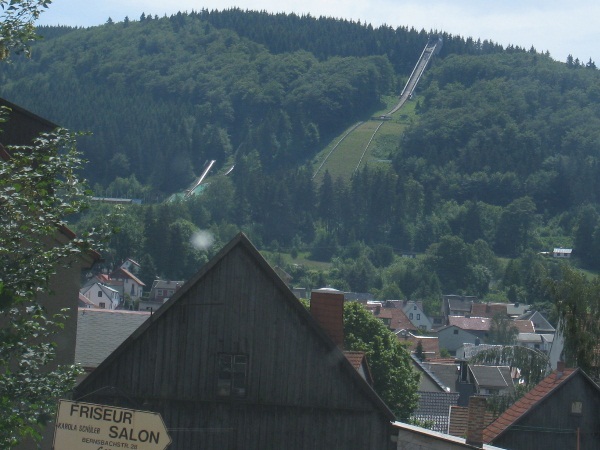 Since 2009 the ski jumps of Brotterode are alltogether called "Werner Lesser II Skisprung Arena", in order to honour the legendary ski jumper from Brotterode. 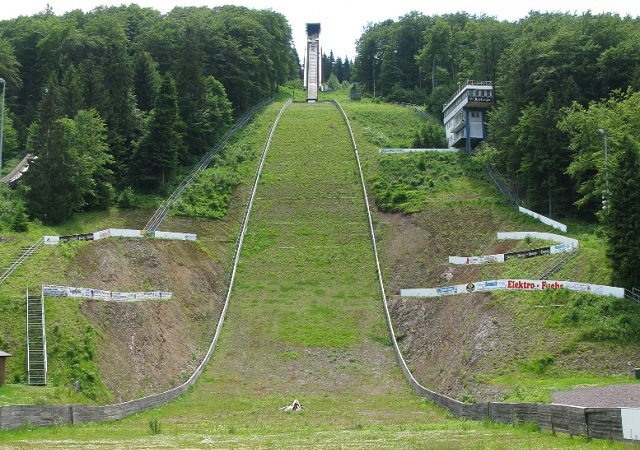 The original hill certificated terminated by the end of year 2015 so that this year's edition was proclaimed as the farewell edition. 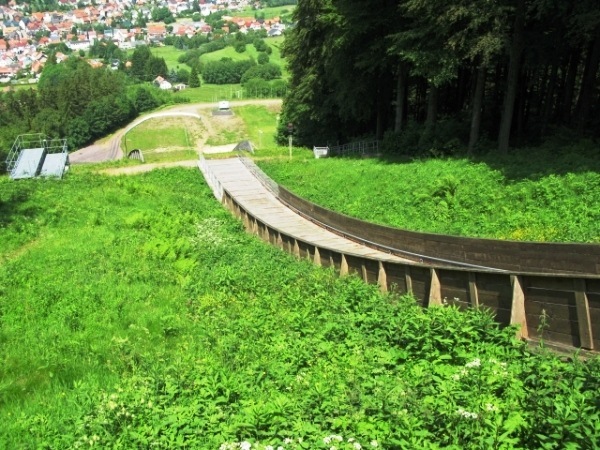 Other than imagined before, two temporary hill certificates have been issued. 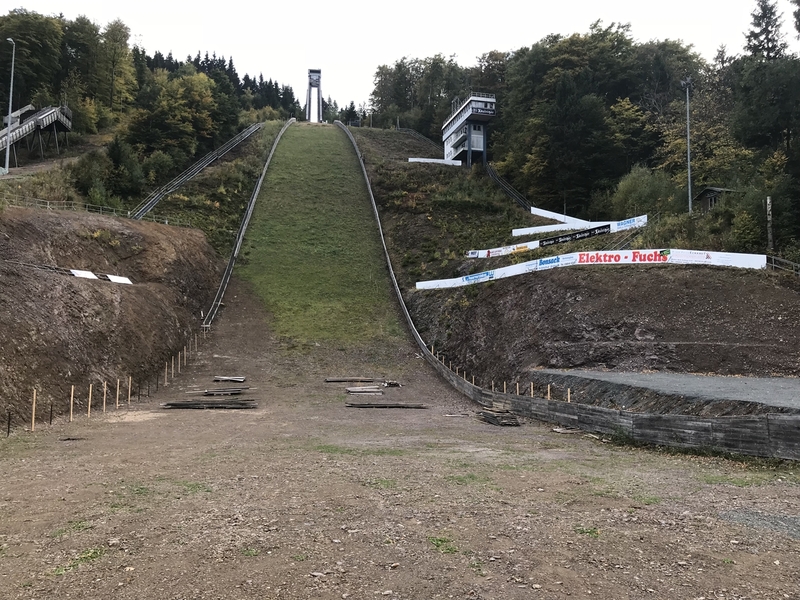 The near future of the COC is nevertheless uncertain due to the fact that the FIS is asking for a wider inrun tower with an extra access for the jumpers.